ST. MEINRAD—Dec. 4 was the next-to-last day of classes in the fall semester at Saint Meinrad School of Theology for the 2008-09 academic year. Seminarians from the archdiocese, and scores of other dioceses and religious communities from across the country and around the world, were scurrying to finish their academic work and prepare for the following week’s final exams. At the same time, the school community was in the midst of a 40-hours eucharistic adoration devotion led by retired Benedictine Archabbot Lambert Reilly. Final preparations were also being made for the seminary’s festive St. Nicholas Banquet, which was to be held that night. In the midst of all this activity, Benedictine Father Denis Robinson, the newly installed rector of the seminary, told students in a class he was teaching that everything that goes on at the seminary ultimately contributes to a seminarian’s formation into a future priest, and is ultimately rooted in and flows from the Eucharist. 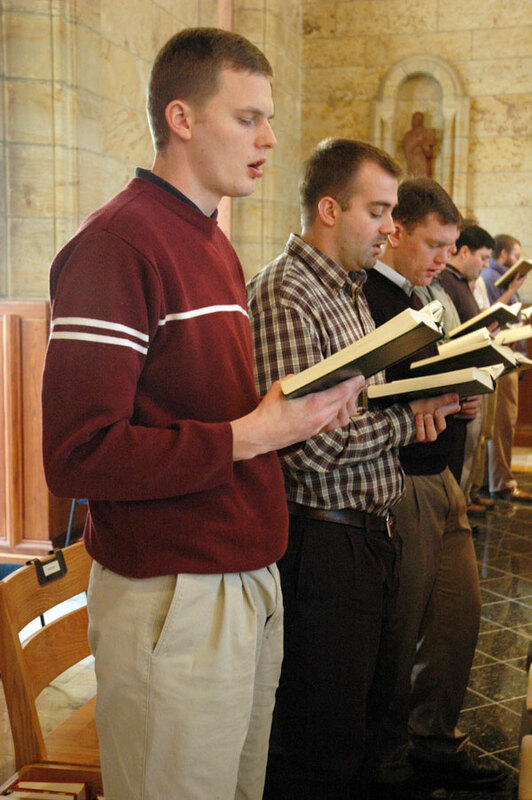 Saint Meinrad School of Theology is the primary place where the Archdiocese of Indianapolis educates seminarians who have already graduated from college. 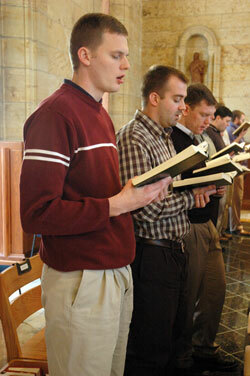 Currently, there 12 archdiocesan seminarians enrolled in the southern Indiana seminary.